The CITB Health and Safety Awareness Course (1 day) can be for those who have entered, or are about to enter, the construction and civil engineering industry. The course gives delegates an awareness of health and safety and how it affects their daily role. 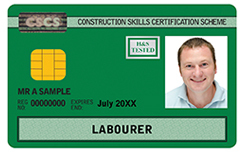 It can be used as preparation training for the CITB Health, safety and environment test or as refresher training. The minimum entry requirement is a good understanding of spoken and written English..